There's nothing quite like a trend coming in that doesn't suit your figure now is there? When this happens, however much you like the trend you pray it will be a fleeting one. That one day you'll look back and thank your lucky stars you didn't suit that particular trend because you've saved yourself a whole lot of cringe photos. Unfortunately this hasn't been the case for this particular trend I'm talking about, in fact I'd say it's turned into a staple rather than a trend in most women's (and men's) wardrobes today, and has been for years, showing no signs of going anytime soon. It's a trend I personally love, but I feel does nothing for my figure. I'm talking about the skinny jean. Which I actually googled and it's latest revival in mainstream fashion was all the way back in 2005. 2005! That's 14 years I've longed to be able to feel and look good in a pair of skinny jeans. You see, as I tell my friend, Sam. I have no kneecaps. She finds this hilarious, as of course I have kneecaps, my problem is they're hidden under a pound of flesh. I was at the back of the line the day bony kneecaps where handed out, to add insult to injury my knees point in the way too. It's laughable really. I've lost count of the amount of times I've been left disappointed in a changing room trying to squeeze my legs into skinny jeans, and for a while there skinny jeans dominated the market. Rows and rows of suction tight denim everywhere. Now someone else will tell me I'm being silly, and that of course I can wear skinny jeans, which I know I can if I really wanted to wear them, but it's more about how I feel in them. I just don't feel comfortable, and isn't that meant to be the whole point of good pair of jeans?! To feel comfortable. Therefore you can imagine my delight these past few years as other jean styles have made a revival on the high street. Hello, straight leg, my denim friend! However, even with the return of my denim friend I ironically still find shopping for jeans no easier, the fit always being the main problem. I love that they have brought out these particular styles as I feel it makes denim accessible to all different shapes and sizes. Especially for the neurotic I don't have kneecaps people ;). The first thing I noticed (and a huge tick from me) is that all the Best Ever Fit range are made with responsibly sourced cotton. I find this usually drives up the price of a garment but the price point for this range is amazing starting at £19.50. M&S have brought out this range because they realise most women struggle when it comes to shopping for jeans, the fit being the main problem. They wanted to create a range that are super flattering , no-gape waists, in a variety of washes. Their aim being once you know your preferred style you could confidently pick up that style in any colour, in any store, knowing it will fit. I chose the Sienna in Dark Indigo as a lot of the denim I own is lighter, so this is a most welcomed addition to my wardrobe. They slipped on super easy and due to a slight stretch to them they fitted perfectly around my waist, bum and hips. One of the main reasons I will forever love denim is when you find a good fitting pair of jeans they can hide a multitude of sins. Bum can look firmer, tummy can look flatter, and they can hold everything firmly in its place. The Sienna fit ticked all those boxes for me. 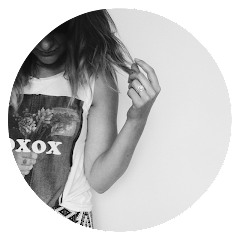 Did I actually just post a picture of my bum on my blog? Yes I did. All in the name of research for a good fitting pair of jeans. After wearing them for the day I think the magic in these jeans is that they've got just the right amount of stretch to them. It's enough to give a good fit, but not too much that they become baggy as the day goes on. Also I'm happy to report that after washing them they didn't become stiff like cardboard and feel two sizes smaller for the first half an hour of wearing them again. We've all been there with denim, right? When washing them ruins what felt like the perfect fitting jeans. Overall I'm really impressed and I'm now eyeing up the other washes in the range. * For full transparency this post has been marked AD and is a PAID partnership with M&S. As always all opinions are my own.